KVMGalore's menu system is elaborate and sophisticated, making it easy for you to find what you're looking for in any way you want. 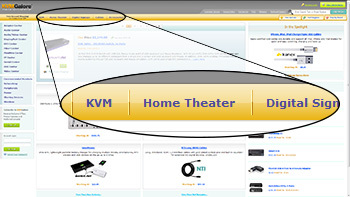 There is no right or wrong way to use KVMGalore's menu system – any method you use will always bring the desired result. ...read more. Once you click on a clickable menu-item (see menus), you are presented with the product-line page – cubes of product-families, all pertaining to the selected product-line ...read more. When you land on a product page, KVMGalore presents you with a slew of information about the product, along with built-in consultation. The DETAILS tab is where you first learn about the product and its features ...read more. Estimate shipping cost – No purchase required! Shipping charges get added by our online ordering system based on the content of your shopping cart, your preferred shipping service and shipping destination. We currently offer free Ground shipping to the contiguous 48-states on any order over $99. No purchase is required to find out your shipping cost! Follow these steps to estimat ...read more. 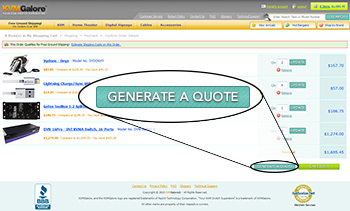 Get a quote, anytime, anywhere – instantly! No need to call and wait for a sales rep to send it. No need to send an email with an RFQ. 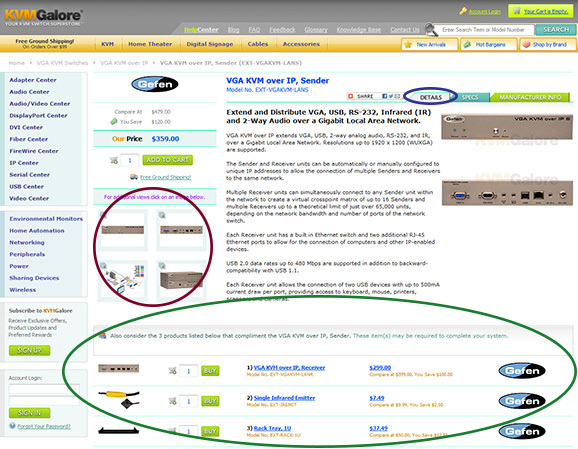 NEW kvm-tec technical support working hours! © 1996-2019 KVMGalore - All Rights Reserved.